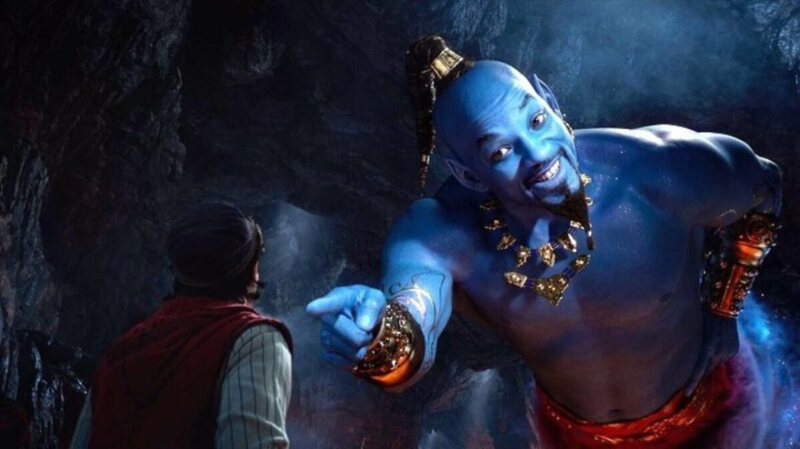 Will Smith is playing the Genie in Guy Ritchie’s Aladdin this year, and now we finally know what he will look like; a blue version of Will Smith with a man bun. The reveal, which came at the end of the new teaser trailer on Sunday night shocked fans around the internet, who were not impressed by the new interpretation of the classic Disney character. When originally asked about what his version of the character would be like, Smith told Entertainment Weekly it would “stand out as unique, even in the Disney world.” He definitely wasn’t lying. The most common reaction to Smith was that he looked like Tobias from Arrested Development in blue makeup. Of course, the negative reaction probably won’t hurt the box office potential of Aladdin. It’s still a Disney movie after all. Several film goers will see it just for that reason. Others will watch to see if the rest of the movie is as regrettable as Will Smith’s makeup. Did he have to be blue? Aladdin, directed by Guy Ritchie, produced by Disney, and starring Will Smith, arrives in theaters on May 24, 2019. Will you be first in line to see it?